A federal court has renewed a National Security Agency program allowing for the bulk collection of Americans' phone records, highlighting a battle between the White House and Congress to reform the nature of mass surveillance in the country. The Foreign Intelligence Surveillance Court (FISC) gave a green light to the government to let the US telephone metadata collection program continue until June 1, when the provisions in the Patriot Act legalizing the practice will expire. At that point, lawmakers will have the option of reauthorizing the law, allowing it to expire or replace it altogether. Under the current program, the NSA can gather phone metadata, including call duration, location, and who called who and when, although the actual content of the phone conversations is off limits. The government has thus far been required to reauthorize the program every 90 days. Friday’s renewal marks the fifth time the Obama administration has extend the program since promising to overhaul the United States domestic surveillance practices in January 2014. In a statement released by White House Press Secretary Josh Earnest, failure to reform the program has been placed at the feet of Congress. “In January 2014, President Obama directed an end to the Section 215 bulk telephony metadata program as it then existed, and called for the establishment of a mechanism that would preserve the program’s essential capabilities without the government holding the bulk data,” the statement read. The statement goes on to say that Congress has thus far failed to pass legislation to implement these reforms, known as the USA Freedom Act. The House of Representatives passed the USA Freedom Act on in May 2014. The measure, however, was later shot down in the Senate after falling short by two votes. Republican Senate majority leader Mitch McConnell at the time called the bulk collection of Americans’ metadata a vital tool in the fight against terrorism. "This is the worst possible time to be tying our hands behind our backs," he said. 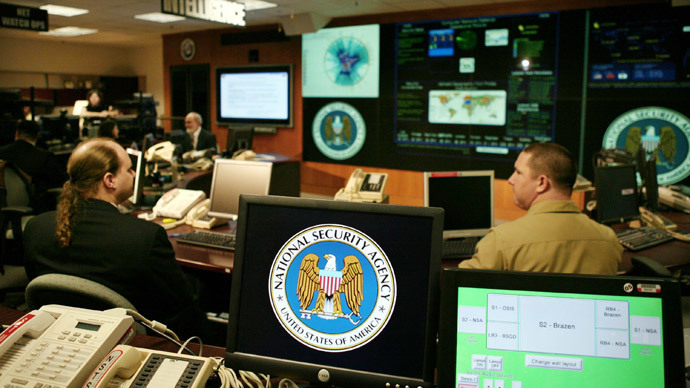 Knowledge of the program was first made public by NSA-leaker Edward Snowden in 2013. Since that time, the Obama administration has made minor alterations to the program, including a provision that requires a court order before the information can be queried. Some civil liberties advocates had asked Obama to forgo the latest renewal, though the president has said he will not act unilaterally. Proponents say it has provided a vital tool in the battle against terrorism, though critics argue it has never provided actionable intelligence and poses a grave risk to the right to privacy.